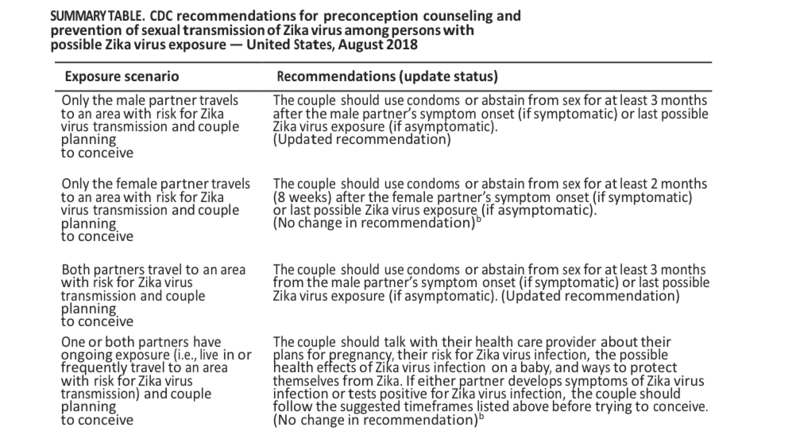 UPDATE: As of August, 2018 the recommendations for reducing risk of possible Zika exposure. Testing for Zika virus remains a limited resource in Canada and the tests aren’t perfect. The best recommendation is to avoid travel to Zika affected countries when trying to conceive. If you cannot do that, then follow the updated recommendations which we have included below. To view the entire document, click here.